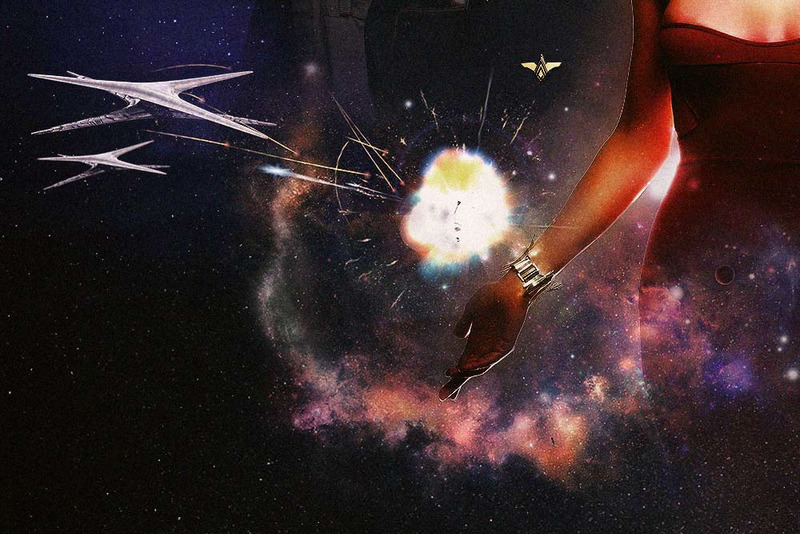 Promotional poster for the tv series Battlestar Galactica. 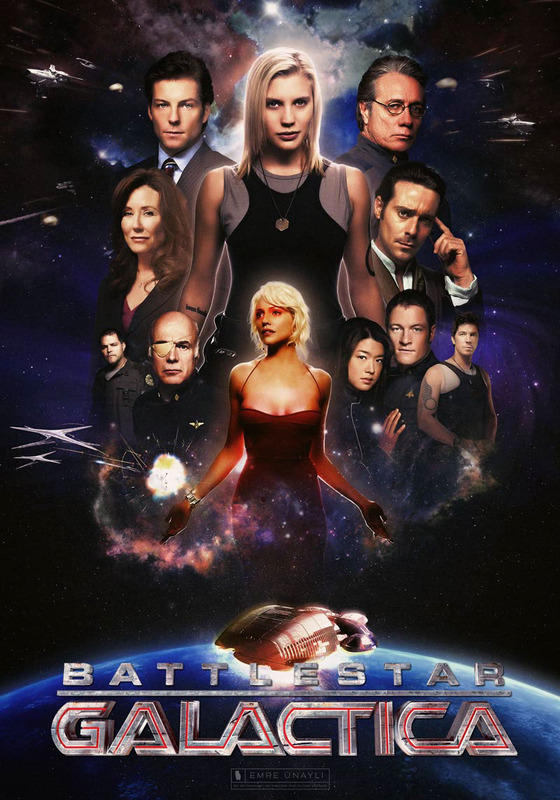 Battlestar Galactica (2004) chronicles the journey of the last surviving humans from the Twelve Colonies of Kobol, after their nuclear annihilation by the Cylons. The survivors are led by President Laura Roslin and Commander William Adama in a ragtag fleet of ships with the Battlestar Galactica, an old, but powerful warship, as its command ship. Pursued by Cylons intent on wiping out the remnants of the human race, the survivors travel across the galaxy looking for the fabled and long-lost "thirteenth" colony: Earth. 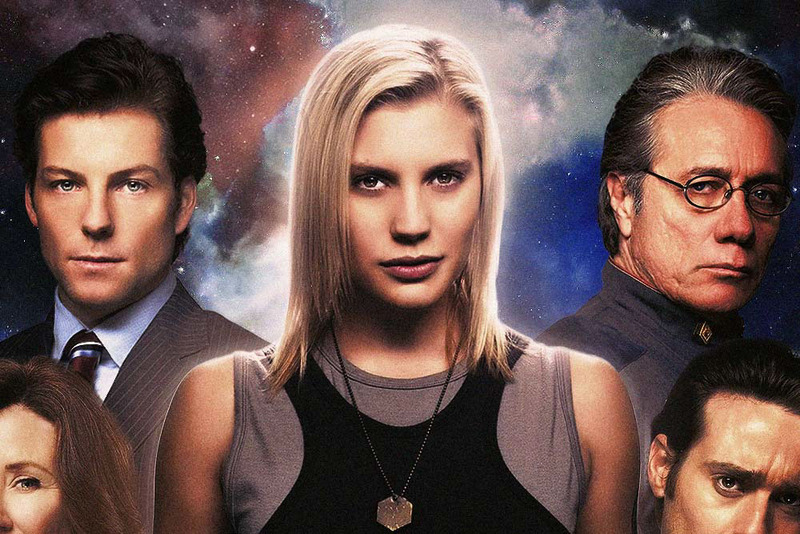 I placed Kara Thrace (portrayed by Katee Sackhoff) in the middle, since she’s the key player in the final events of the series (like a saviour) and then placed the other characters around her according their role, importance in the series. The main challenge with this project was in the photos that i used. Most of them are from different photoshoot sessions so the lighting, colors weren’t a match. I spent most of my time to correct the colors and match the shadows & lighting.